The representation of all 21 different Hispanic Spanish speaking countries is often hidden within American states and public schools. Perry Meridian High school contradicts this ideology with its diverse student body. An ethnicity that is commonly grouped as one whole are Hispanics. Senior Ana Karen Ramirez-Herrera was born in Mexico City, Mexico. Herrera moved to the United States at the age of three along with her parents and older brother. 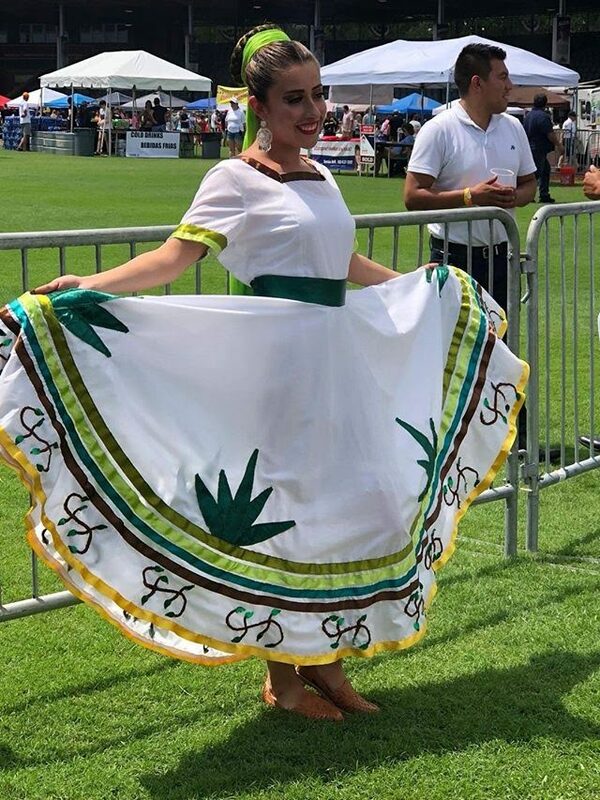 Transitioning from Mexico to the United States is difficult for any child, through her parents’ guidance Herrera has discovered different activities that help incorporate her heritage to her everyday life. A big portion of Herrera’s free time is dedicated to dancing. She participates in traditional Mexican culture, dancing Folklorico. Folklorico is a traditional mexican dance that emphasizes local folk culture with some characteristics that mimic ballet dancing. Stemming from her pride, Herrera dedicates six hours of rehearsal each week to dancing with the traditional dance group. Her group, Mosaicos, performs around Indiana at cultural events and showcases. Along with dancing, Herrera also enjoys participating in Catholic church service, which is a large part of Mexican culture. Traditional Mexican games, on of which is bolero, a game in which you try to make a small barrel with a hole at the bottom land on top of a wooden stick with one swift movement were introduced to Herrera at a young age. Loteria, which is the mexican version of competitive bingo, also brings Herrera back to her traditional roots. Bringing Mexican culture into American states has become more popular throughout the years. Nowadays, many local parks around the country hold celebrations specifically dedicated to Mexican Independence day on September 15. Senior Joice Ramirez comes from both Dominican and Puerto Rican descent. However, Ramirez is more culturally aware and involved with her Puerto Rican heritage because that is her place of birth and where most of her close family is from. Ramirez recalls back to her time being in Puerto Rico with a smile on her face as she begins speaking of her childhood memories. Although she has lived in the states for nine years, she still keeps true to her Puerto Rican heritage by attending Puerto Rican cultural events. She attended a Puerto Rican parade in Chicago last year where she continued to appreciate the people and the culture she comes from. Ramirez’s family life consists of cooking traditional foods such as a popular entree mofongo. Mofongo is a Puerto Rican dish made with fried plantains, fried pork, smashed garlic and your choice or meat or seafood accompanied with a malta india which is a Puerto Rican soda. Senior Diana Sánchez was born in Colombia and came to the US back in 2015. Sanchez strives to keep true to her home country in her everyday life. When in Colombia she would often play soccer and continues to play now. Having family here is a great influence that helps her keep her cultural relevant in her everyday life. Her favorite traditional foods include a popular dish of Columbia called la bandeja paisa. La bandeja paisa contains fried eggs, beans, white rice, plantains, sausage, avocado and arepas. Hispanic heritage is recognized for a month starting September 15, which is Mexico’s Independence day celebration, to October 15. Are you excited for this school year?